Unhappy as Cubans are when something does not go well, that´s the way in which the Granma Alazanes felt are after being defeated by the Mexicali Aguilas in the semifinal of the 59 th Caribbean Baseball Series, whose final will take place today in Culiacan city, Mexico. Calos Martí, manager of the Granma team, told ACN that if you do not take advantage of the opportunities given by your opponent, who in addition starred a hermetic pitching performance, you cannot win the game, because this only happens if you score runs. Although we did not reach the final, which was our goal, we are happy because the team rivaled high-quality professional players, and they did it very well, Martí said. Lázaro Blanco, winner of the first game over the Tigres de Licey from the Dominican Republic and starting pitcher in this semifinal match, said at a press conference he had trained hard for this last outing because he knew he was going to face the local squad, but his team could not offensively support him and that makes him feel very sad. Noelvis Entenza, another Granma pitcher, stated that representing Cuba is a pride for him and although they aspired to a little more, the boys did a good job. 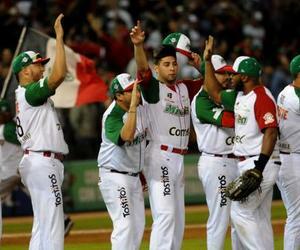 The Cuban team could not reach the title discussion as the Pinar del Río Vegueros did it in 2015, champions of that edition; while Mexico will play for the crown for the fifth time in these contests.